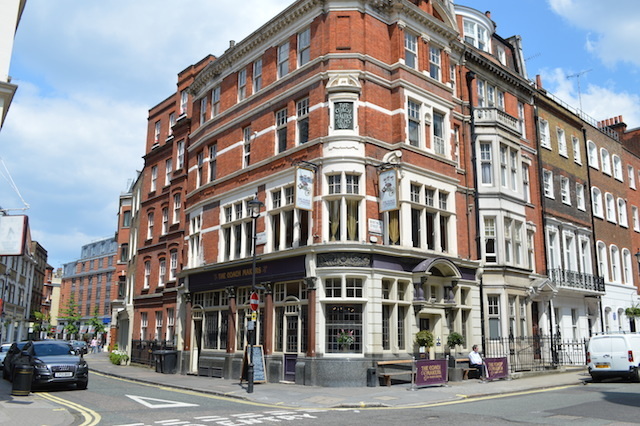 This pub was editorially chosen for inclusion by Londonist, because we quite like it. "Do you have anything that's not posh, because I don't like posh beers?" — a genuine inquiry by the bloke who approached the bar after us. He has a point: The Coach Makers definitely sets out its stall for the discerning, possibly well-heeled clientele whose type are the chief denizens of Marylebone. He's also wrong about the beer. 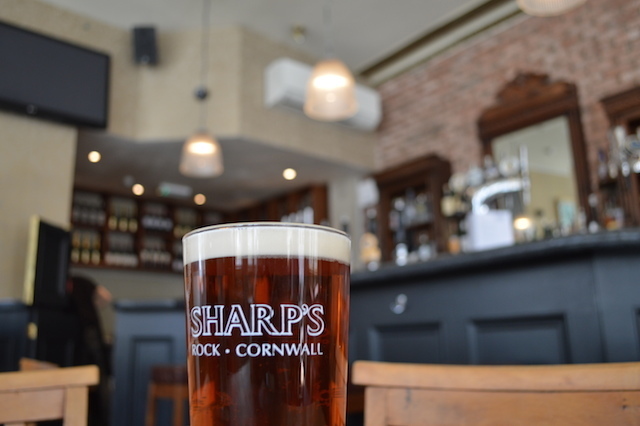 Sharp's Doom Bar is hardly posh, nor were any of the other ales and lagers on tap. No Fosters, though, which probably sowed the confusion. The lovely old building is 140 years old, and is built on the banks of the now-buried River Tyburn. We popped round for Sunday lunch and received the most friendly, welcoming service we've seen in a while. Our pork roast was artily done, looking like a porcine sculpture of a Borg cube from Star Trek. 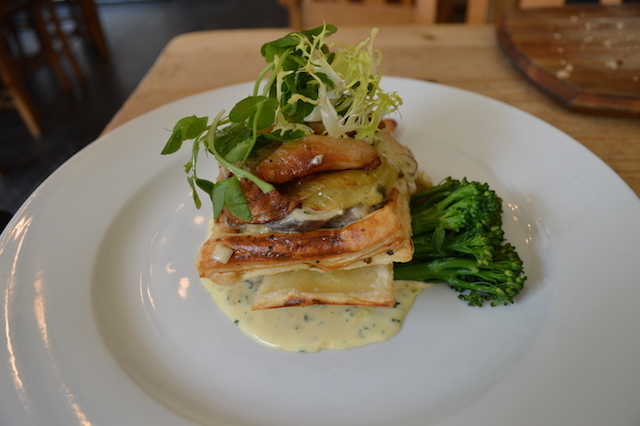 The vegetarian offering, an artichoke, leek and mushroom pie, was also cuboid, but tasted divine. 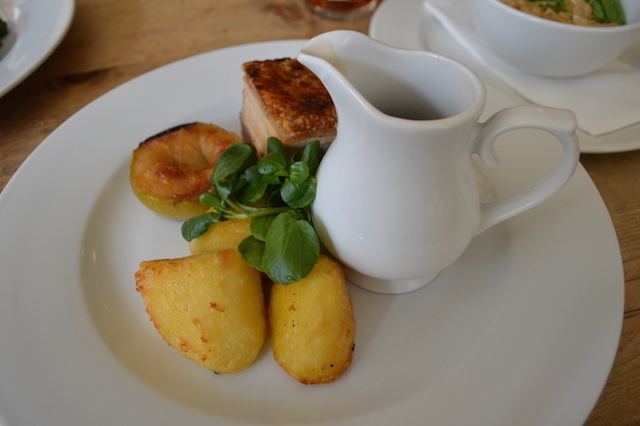 With prices around the £14 mark, with excellent service and food, this is decidedly one of the best value gastropubs in this pricey area. We've yet to try the 'gin palace' upstairs, or the cosier basement bar, but the staff seemed very proud of them. Less impressive, however, is the pub's complete joke of a web site, which looks pretty but is tantamount to useless. Can we have something a bit less posh, please? A tower of vegetarian delights. Note the Borg cube of pig, lurking behind the gravy jug. Additional veg not pictured.